There are third party private parking lots and street parking surrounding the restaurant area. Please coordinate event by contacting our catering manager at the restaurant. Welcome to Galeto, a traditional Brazilian steakhouse where your culinary voyage to the heart of the Brazilian cuisine starts. 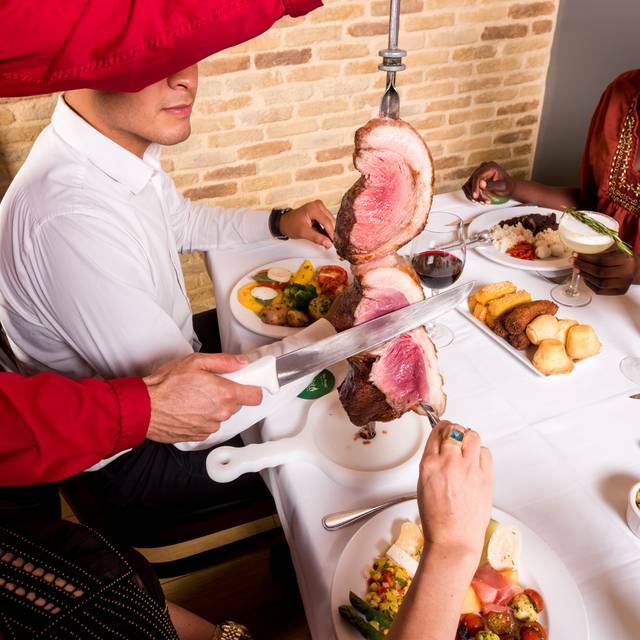 Our concept is based on an endless dining experience that features two masterpieces: a unique Brazilian barbecue selection of rotisserie meats and a Gourmet Table area displaying signature dishes. The meat parade holds up to 14 different cuts of beef, chicken, lamb, pork, and sausage all served on skewers and carved tableside on the Rodizio style. The Gourmet bar area displays 45+ exquisite signature dishes from designed salads, charcuterie meats, cheese selections, hot dishes to seafood. 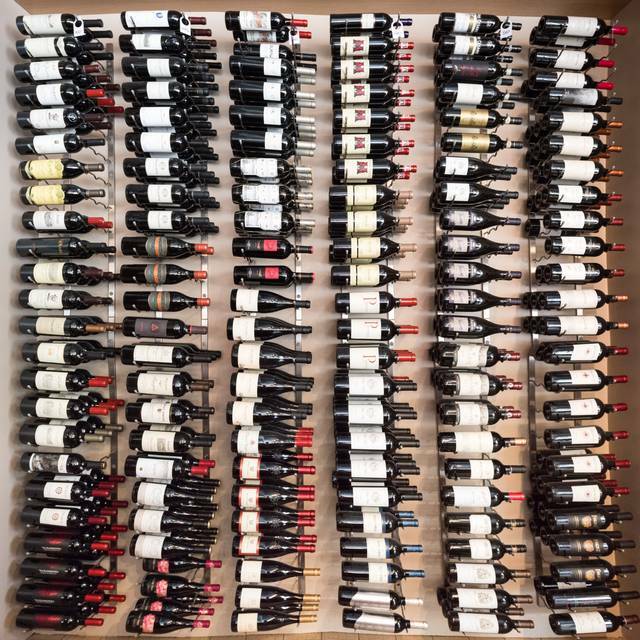 Accompanying the food we have a vast wine list of local Californian wines, South American and European options to your taste. Also, make sure you save room for our artisan dessert menu that will make you dream of it for days with authentic Brazilian options. Up to 16 rotisserie types of meat from filet mignons to ribeyes, to rack of lamb to chicken and pork. 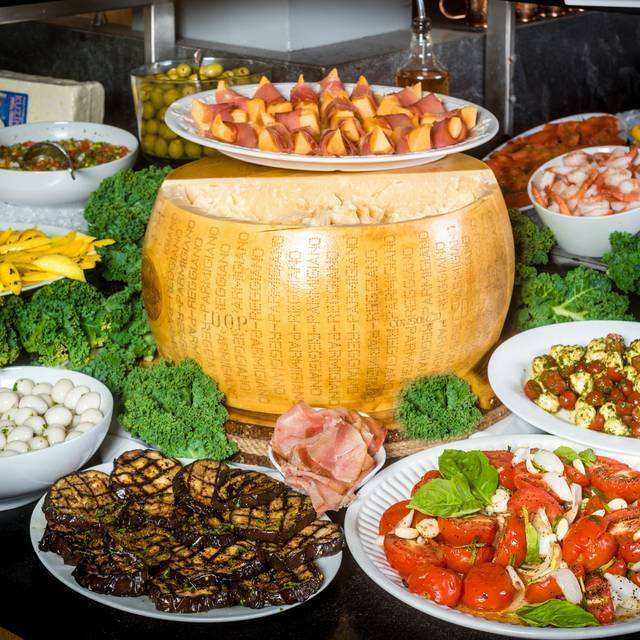 Plus a Gourmet Table featuring 50+ signature dishes between seafood, hot dishes, specially designed salads, imported cheese selections, charcuterie meats, and more. Excellent service always. Food outstanding. Love the beverages. I enjoyed the Ipanema Beach very refreshing. Our server was Michelle she provided excellent and attentive service. All of the staff are very friendly courteous and professional. 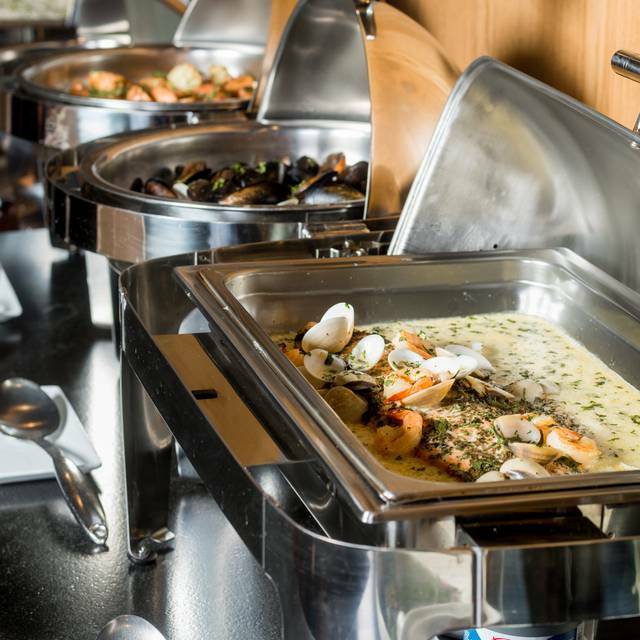 The Buffet has a delicious variety of items. My personal favorites are the Beans,rice and Yucca flour sprinkled on top. Dessert over the top coffee was excellent. The meats were cooked to perfection and offered as often as desired. Brazilian Sausage, Lamb chops, Bacon wrapped chicken, Parmesan Pork, Sirloin , Flank, oh my! Super beautiful restaurant with the kindest service! An endless supply of Brazilian grilled meats along with tons of delicious sides and exquisite service makes for an engaging dining experience. We're going back! Took my dad there for his birthday. He recently returned home from a 7.5 month stay in skilled nursing/rehabilitation eating bland hospital food and wanted a good steak. He really enjoyed tasting the variety of flavors in the meat and his key lime pie desert. This guys never fail! Their Parmesan Pork and Picanha are superb. My wife loves the Tri Tip. Highly recommended. All around great experience. Went for dinner and parking was easy, but may be more difficult around lunchtime. Very pricey, other Brazilian steak houses are the same price but there are more options. It was a pleasant dining experience, as it was my first time dining at Galeto. The capirinha's were delicious. The buffet selections were exquisite. Some of the steaks brought around were to rare for my liking, but the ones I tried melted like butter in my mouth! All in all I enjoyed the experience. The service and food were great! At a higher price point compared to Fogo de Chao and Espetus but generally great service and food. Galeto is in an upscale location in Oakland (next to Le Cheval) and has upscale pricing ($40 corkage fee!) but in my opinion, the food was mediocre and the service matched. The meats they served were either bloody and undercooked or well done. Most were tough. The place was not busy so maybe their best chef was not in the kitchen that day. The best meats came out rarely. We saw the sirloin quite often (and refused it after the first time) but the tenderloin came to us once during our 90 minute stay (and was grey all the way through). My water glass sat empty for 10 minutes at one point and we were forced to get up and hunt around for a salt shaker. There was no hostess at the front and we had to hunt someone down to get our check after waiting for awhile. I like Oakland and I like the area, but I won't be back. Galeto was a great experience. While some meats were a bit dry, I did very much enjoy majority of the choices. The salad bar options are great. Service was awesome! Everything was awesome except for it was my girlfriend birthday and they never brought out a happy birthday desert but besides that everything was good and definitely will go back but by myself for lunch. The service and the food was excellent!! 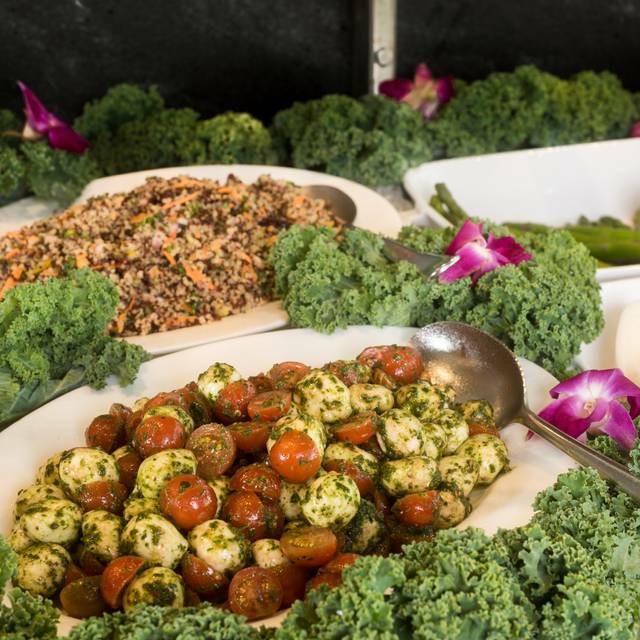 The choices at the salad bar were numerous and a huge variety! From the front door, waiting to be seated and until the end of our meal, everyone was extremely pleasant and professional! It was absolutely wonderful. The food was very delicious and the service was amazing. We were served by a beautiful young lady who also gave us a lot of information about the cuisine and the restaurant and was fun. Great authentic Brazilian experienece. It is way over priced for what you get. We had a table of 6 and we all agreed that only 1 of the meats was worth a 2nd serving. 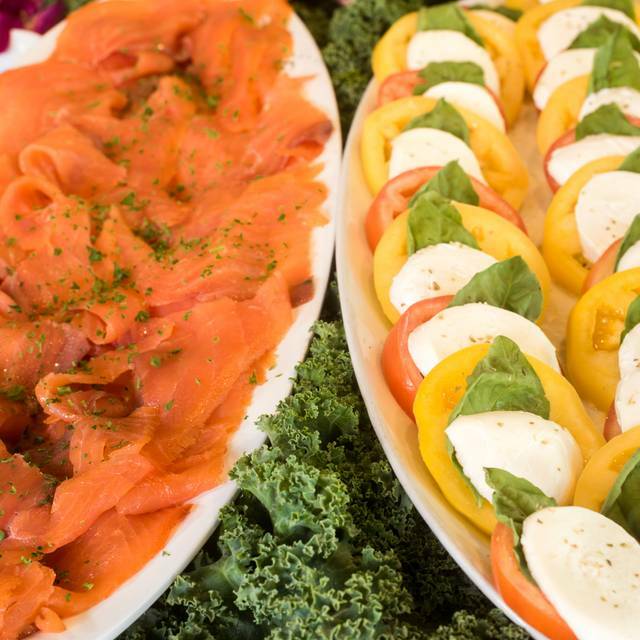 The salad bar was pretty good with salmon and shrimp options. Had I known of the fish options prior to eating there, I would have opted for just the salad bar. But then, I've also seen better salad bars for this price. Oh, and their website said $39.95 for Sundays. I called to very. They said "It's $42.95 on Sunday." When we got the bill, we were charged $54.95. The hostess said the $42.95 was for lunch. I won't be back for multiple reasons. Star out with lobster bisque soup, then steamed filet of salmon, steamed mussels. Next is cold cut station with prosciutto with honeydew melon, salami, cheeses section, salad station and vegetables. Pouring wine, water, cleaning plates and refresh with new one. Price valued! I advised my waiter, the supervisor, & meat servers that I needed well done meet due to my pregnancy. I waited over 30 minutes before I received any meat. It was burnt fat to say the least of the strip steak. I never received garlic steak, filet, etc. due to my request for well done meat. I definitely did not feel like I got the value for what I paid. It’s unfortunate because we have gone to more popular Brazilian steakhouses and I’ve never had an issue getting a variety of steaks cooked well. I will not be returning. However, I will say that the gourmet bar selection is excellent!! I was not expecting lobster bisque as a starter and it was superb. All meats were really salty. The taste itself was good but the meats with fat were super salty. Similar experience as Fogo de Chao. My husband liked it for the variety of meat. I personally prefer higher quality steaks since I don’t eat as much. I had been to this location several times over the last few years and noted each time a decline in the quality of the various meats. I love the salad bar area with all the options but try not to fill up too much for the meat. There was no issue with the service and the flow of the meat options coming out. However, the chicken and sausage options were overcooked, dry and salty. The red meat was seasoned nicely but if you don't like rare cuts, make sure you ask for a specific cut. I am talking it was mooing when cut! I was highly disappointed on this visit and may not be back with other dining options in the area. The price doesn't match the quality. It is a good experience with a lot of food. WE had an amazing time. It was an office lunch and we had a blast. Good food, great service.. Will definitely be going again ..
My brother, mom, and I came here for dad's 1 year death anniversary. He would have loved this place. The meats was flavorful, and the service was outstanding. Their Lobster Bisque hits all the right notes; I would visit again...just for a bowl of the bisque. We never felt overwhelmed. We definitely look forward to visiting Galeto again. A pretty authentic Brazilian barbecue experience. And the guava caipirinha is delicious. Always a treat and brings me back closer to my wife. Very important in our relationship with raising three young children. A little pricy but for a date night it was ok. Overall we were very pleased and will definitely go back. Fantastic service and amazing food!! BAY AREA MUST GO. I went in on a Sunday so it wasn't very busy in the restaurant. The servers were very attentive and the meats came out very quickly. Some meats seemed over cooked but I found many I liked. I had a positive dining experience and might return. luvly place. food was gd,except th meat it needed to be cook more. to raw!. that's my only issue. This Brazilian import to downtown Oakland is a meat lover's paradise! 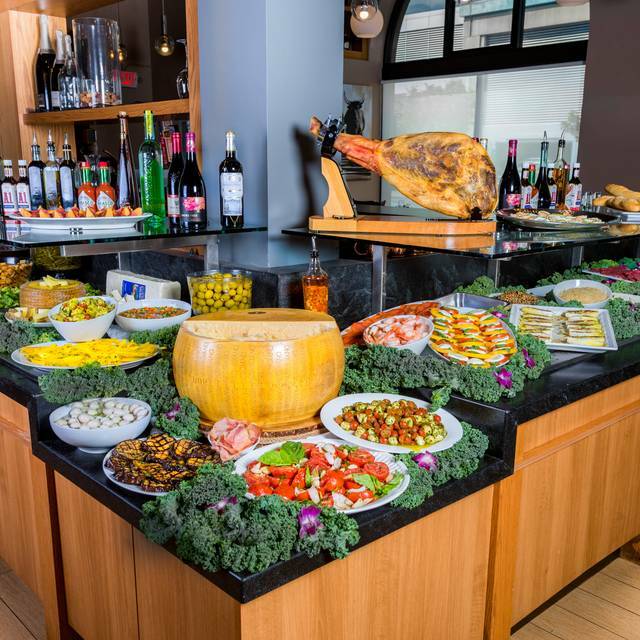 With a gourmet bar (When buffets are this good they can call themselves a "gourmet Bar) filled with Regional specialties from Brazil, and delicious traditional Brazilian drinks. CHURRASCO, translated, means a HUGE selection of perfectly seasoned meats, flame-broiled to perfection over an open pit, and brought to your table still sizzling where it is sliced off to your order. Make sure to use the silver pincers to catch the meat as it is sliced! The meat game here is 100%, and the central location is perfect for family get-together's, birthdays, (how I discovered it in the first place) or romantic valentine's day dates, (Like I did last night). The food is overpriced. The servers ignore you. The restaurant is loud. Don’t ask or want refills you’ll never get them. Want your plate removed, so you can use a new one? Dream on. 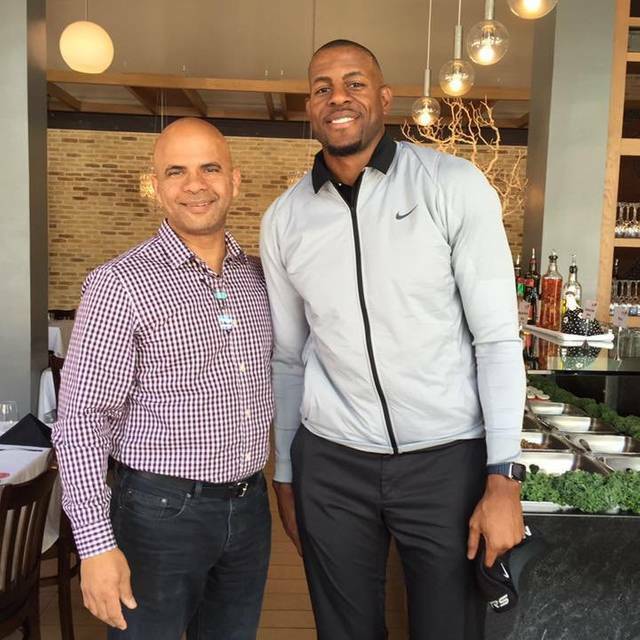 This place is an overpriced restaurant that wants to be a Fogo. We wanted to try the place and were amazed at the quality of the food and salad bar. We loved everything. A little bit expensive, but very good. Reservation only and they fill up. You need to make reservations in advance. Or you can take your chance by showing up. Very good. We'll go back. Great place and great food! We had a great time and make sure you save room for desert! Food was just okay. Service was slow. Hold out and hit the Brazillian steak house in SF. It's waaaayyyy better.